Amid Skyrocketing Housing Prices, A Push For Affordable Homes In Israel Home prices have climbed by 80 percent over the past eight years, burdening many Israelis. Policy makers are trying to bring prices down and offering new lotteries for first-time home buyers. Ronit Shy stands in front of the construction site for the building that will be her future home. She was among 200 Israelis who won a housing lottery with 6,000 entrants. Ronit Shy, a 48-year-old mother of three, was shocked when she was among 200 Israelis chosen for a recent housing lottery. "I didn't believe it. I answered the phone and thought they were pulling my leg," says Shy, who is divorced and works two jobs. She says there were 6,000 entrants. 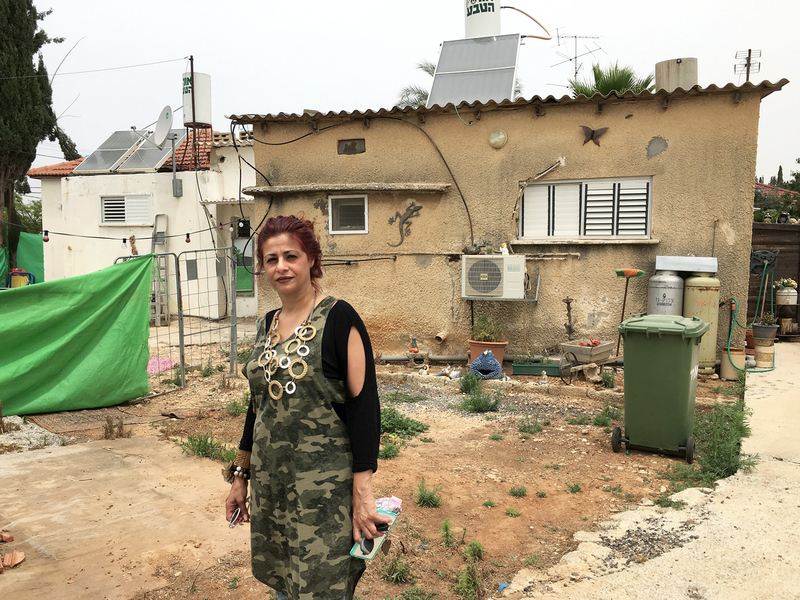 Her current home in Rosh Ha'ayin — an Israeli suburb of Tel Aviv tucked up against the West Bank, where she's lived her whole life — is a duplex created from a bungalow tossed up decades ago when the town was quickly built for a influx of immigrants. It has just one bedroom. For years, she has shared it with her youngest son, who is now 18. "At first, my middle son lived here, too, and they slept in the same bed," Shy says. "But that was too difficult." The high cost of housing plagues many countries around the world. But in Israel, it's become prohibitive, especially for those who want to live in central parts of the country, and has climbed as much as 80 percent in eight years, according to government officials. The rise in Israel outstrips increased home prices in the U.S. or Europe, according to a recent report by the OECD, an international group of 34 governments which monitors economic trends. This is angering Israelis and alarming politicians, who have seen protests and heated debates over the high cost of living generally in recent years. The average Israeli apartment costs more than $350,000, according to Shai Babad, director-general of Israel's finance ministry. And the sharp rise has been particularly painful: "If it took 80 salaries to buy a house back in 2008, now it's 140 salaries," he says, describing the cost of a home in terms of average monthly salary. A new government effort aims to bring prices down. There are some specifically Israeli reasons for the housing cost rise. Start with land ownership. In Israel, the government owns the vast majority of land. Israel spent years trying to steer people to outlying areas, often near borders, that the state wanted to populate and secure. But most of the jobs are in central Israel, and that's where people want to live. Government aspirations versus peoples' desires led to a mismatch of supply and demand, says Claude Jiorno, head of the Israel desk in the economics department of the OECD. "The government doesn't react to market pressure," Jiorno says, citing Bank of Israel statistics that it's taken Israel 13 years on average to go from planning a housing development to handing over the keys. That's more than twice as long as in Europe or the U.S.
Jiorno also says Israel drove up housing prices by "trying to maximize revenues" it could get from auctioning off development rights. Babad, of the finance ministry, describes a system where land for one project would be auctioned in small units, with the sale price of the first as the starting point for bids on other units. This meant in the same development, apartments built on land sold later could cost as much as 40 percent higher than other, similar apartments. The government has now changed the bidding system to award land to developers based on their commitment to include affordable units. "We said, well, who does the land belong to? It belongs to the people. What are the people lacking today? They are lacking houses." Israel has needed to raise money from land bids in part because its military budget leaves little room for civilian spending, according to the OECD. Babad also blames Israel's coalition system of government. This has long meant multiple politicians — sometimes from different parties — were in charge of various steps in developing housing. Babad's boss, Finance Minister Moshe Kahlon, insisted on putting the government's entire effort to increase housing under his ministry. The most visible new effort is lotteries giving first-time homeowners the right to buy somewhat subsidized new apartments. Ronit Shy was among the lucky ones, but her oldest son, Talor Simchi, entered the same housing lottery and didn't win. He and his wife have been home shopping in Israeli settlements in the West Bank. They would like to join a religious community, and government subsidies in settlements make housing there significantly cheaper. He doesn't mind that settlements are built on land Palestinians claim for their future state. But he and his wife decided they can't move to the West Bank because the commute to work would be too long. That was also true of the best option he found inside Israel, in a town called Ramle. "We checked the commute there, and it was also unreasonable. We would have to leave our daughter at 6 a.m., before daycare is open," Simchi says. Babad, of the finance ministry, says demand for housing grows by almost 2 percent a year, driven both by immigration — encouraged by the government — and a high birthrate. He hopes housing starts will exceed demand this year and make a dent in the backlog that has pushed prices high. The shortage of housing now, and extremely low interest rates in Israel, have attracted investors, says Yael Sa'ar, a realtor in Tel Aviv with an agency called Anglo-Saxon. "All the alternative investments are very low," she says. "Real estate, it keeps rising and rising. People just keep investing. And that's why all the market keeps going up." 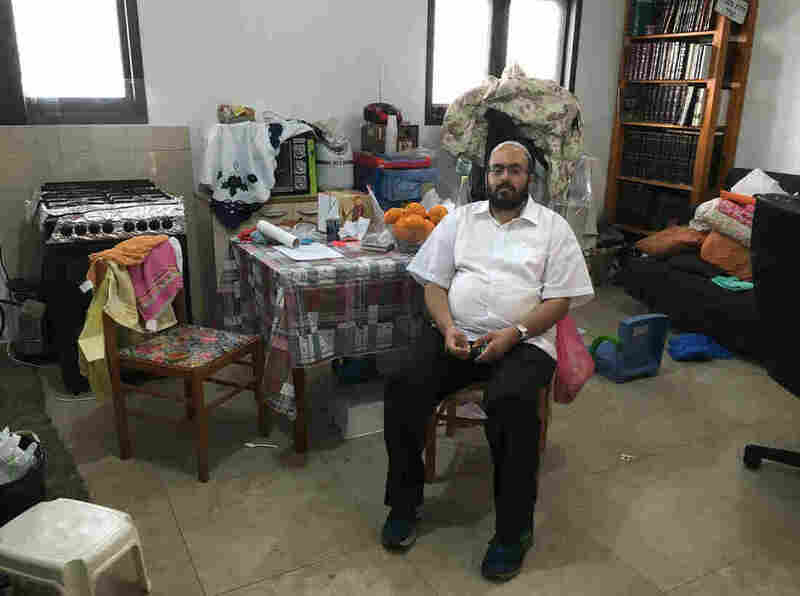 Ronit Shy has shared her one-bedroom home with at least one of her three sons since the family moved there more than three years ago. Soon to be an empty-nester, she'll be moving into a four-bedroom home that she won in a recent housing lottery. Real estate speculation is a problem in many countries. In Israel, to discourage that, the government raised the tax and limited mortgages on second homes to 50 percent of the price. Officials say that has helped, but Sa'ar, the Tel Aviv realtor, says not much. "You can still see a big big movement of investors in the market," Sa'ar says. Other Israeli peculiarities that contribute to the housing shortage are the historic role of farming communities or kibbutzes, and court fights about their rights to land. In addition, cities cannot raise the Israeli equivalent of property taxes on residents. That's done only at the national level, says Tel Aviv city council member Efrat Tolkowsky. It's also notoriously difficult to convert land zoned as commercial to residential land. "If you look at Tel Aviv," Tolkowsky says, "there's a lot of land which is titled for offices, and there's a shortage of land for housing." Ronit Shy is expecting to move into her new home at the edge of Rosh Ha'ayin by the end of 2017. It will have four bedrooms. She says it's bittersweet to anticipate such space while her son, just starting a family, still can't find a place he can afford. "The fact that I won [the housing lottery] and he lost, it was joy mixed with sorrow," she says. "But at least I know when I pass away, I'll be able to leave this for them."